Sometimes you just want buttons. 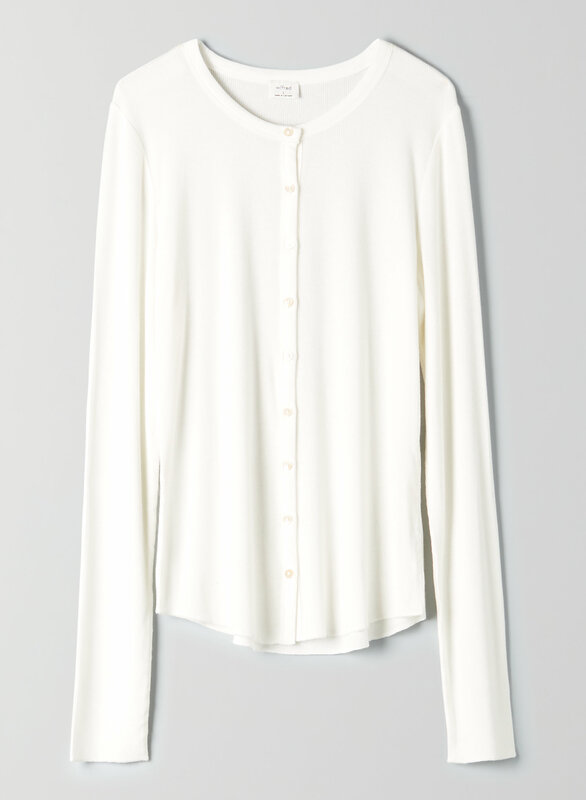 This is a long sleeve button-up tee with a fitted silhouette, curved hem, and real shell buttons. It's made with a soft, stretchy modal. Comfy, soft fabric and stylish. But can see your bra through buttons so recommend a size up - sleeve length still ok.
Beautiful top. Black is nice as well. Love this shirt. Comfy and so cozy. Wished I bought it a size bigger. Normally I am a small but had a little small issue with the chest area. The buttons kept on popping open. That is why I only gave it four stars.